It is no secret that alcohol and drug addiction can destroy someone’s life. It does not merely affect the user him- or herself, but also involves the user’s family, friends and loved ones in a spiral of loss, confusion and pain. More often than not, there is no happy ending unless the user decides to seek professional help to overcome the problem. The first step towards recovery, the first hurdle to overcome is admitting that a problem exists and that the user needs to address it. After that first big step, it is possible to start looking for the right recovery option. From private drug rehab to outpatient treatment, there are a lot of options to learn about. Why a Growing Number Seek Drug and Alcohol Recovery from Private Drug Rehab Facilities? Keep in mind that not everyone recovers the same way or at the same pace. Sometimes patients may need a different combination of therapeutic methods in order to find what works for them. The safest and most intense environment where a patient can learn what works for their needs is a residential private addiction treatment center. Are there Private Addiction Treatment Benefits? One of the first benefits is located within the question itself – the additional levels of ‘privacy’. Even though there are outpatient service and 12-step programs available, many of those programs only provide a certain level of anonymity. 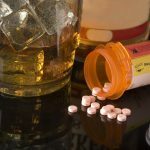 Admitting you have problems with drugs or alcohol is not an easy step, so it may be exceedingly difficult to be upfront about this for many patients. One of the central parts of addiction often overlooked is shame. It may be extremely uncomfortable to have others know what that person is struggling with. When a person enters into a private drug rehab center to seek treatment, it allows for a basic level of privacy. An individualized program – You can expect a private facility to create a program around the input, circumstances and needs of the patient. This means that the traditional one-size-fits-all program approach for each client goes out the window. This may also include the input of family members and friends. Remember, the staff is only meeting the patient for the first time; perhaps it is possible to make treatment more effective by having a much wider perspective. Smaller program sizes – The number of clients enrolled at any given time at a private treatment center is much smaller. The amount of patients is small and manageable. This not only makes the setting more intimate, allowing patients to get to know everyone much faster (thus increasing their comfort levels), but also means that each patient receives the treatment and focus they need to make a full recovery. Personalized attention – This goes beyond protecting the anonymity of the client, it offers a safe zone, a place where the patient can unwind without associating with others who actively abuse illicit substances. Each patient receives thorough, personal attention in order to treat his or her individual problems. Many experts agree that one-on-one counseling is an imperative step of addiction treatment. A sense of connection – It is much easier to connect with other clients and staff in a small, private addiction treatment program. Even though this is not necessary, it will ensure that the patient does not feel alone with his or her problems. Feeling connected to an intimate community means having someone to talk to or lean on when it becomes difficult. This is often beneficial, especially during those tenuous early days of sobriety. Close medical supervision – You can expect most private facilities to have a qualified medical staff available that is able to monitor physical detoxification. Not only will they help during detoxification, but they can also help with additional issues that might complicate or otherwise exacerbate addictive behaviors. No wait-lists – Many of the public rehab centers have a long wait-list before a patient can enroll. Remember that timing is a very important aspect for patients struggling with long-term dependence, it is important to move quickly. Because they cost significantly more money to attend, many of the self-pay options have a very small or no wait-list for admission. Are there Drawbacks from Private Drug Rehab? Of course, there is no one particular recovery option that has all benefits with no downsides. The costs – These facilities are upwards of thousands of dollars for recovery treatment. This makes them inaccessible for patients who do not have those finances available or are unable to borrow it or secure a loan. Even though there is no denying that recovery is an investment, it is one that the patient has to be able to repay in his or her lifetime. Otherwise, they may find themselves free of dependence, but burdened with debt. The additional stress brought on by debt may serve as a trigger to bring on a relapse. The locations – Even though traditional facilities are available throughout the nation, you may have to search a bit harder for a good self-pay recovery program. This may make it difficult to find a facility nearby or one that is within a reasonable distance for potential family visits. Even though it is not for everyone, a private drug rehab facility can provide a personalized environment where it is much easier for the patient to let go of all the worries and stresses they experience in the outside world. 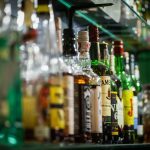 This means they are able to focus solely on what they need to do in order to carve out a path towards long-lasting sobriety. Oftentimes these centers go beyond addressing the physical addiction, they will provide coping skills, communication abilities and behavioral components, all of these are important tools necessary to have when returning to the ‘real world’ after leaving the program. If you are interested in learning more about your options, if you want to learn more about the benefits or have questions about possible payment options, New Beginnings is here to help you. If you call our professional staff we will make sure to get you the answers you need.